This weekend I was house hunting again. This time I ended up on the east side of town in hills of Los Feliz, Larchmont Village and Hancock Park. I have no focus area in my search for a new house…I think I could live anywhere. First I thought west side of Los Angeles only, now who knows! Watch my instastories @cococozy on Instagram to see the houses I toured this weekend. Magnificent stone Georgian on 5.34 acres with pool house and pool on coveted Clapboard Ridge Road in mid-country Greenwich. Architectural details and tasteful refinements suggest Pre-war substance and quality, yet the house features modern amenities throughout four floors with 5 car garage. Grand two story entry hall. Elegant living room with two fireplaces and stunning antique bronze French doors leading to terrace spanning rear of house. Paneled library with fireplace plus office and access to covered porch. Formal dining room with fireplace. Kitchen and breakfast room, opening to fabulous family room with vaulted ceiling and stone fireplace. Sunfilled billiards room with custom built-ins. Sumptuous master suite with two luxurious baths and two dressing rooms. Five additional bedrooms with ensuite baths and custom closets. Lower level comprised of home theatre and lobby, wine cellar, gym, family room, indoor pool with 2 changing rooms, baths and sauna. Two bedroom pool/guest house. Here is the video I found…it is two minutes long…take the video tour too! What do you think? Would you spend your hard earned $29.5 million dollars on this home? 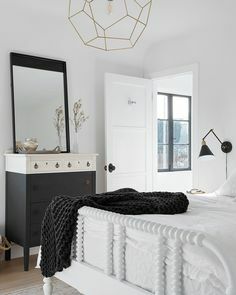 It is a great new traditional and I think I would love to visit on a Sunday house tour and/or stay the night if a friend bought it, but I think I would keep looking. No worries on a bidding war from me! 😉 I am sure though someone will snap up this delightfully grand home.